An amazing first renovation in 15+ years has come to Toledo! Check out the amazing new comfortable and modern look while enjoying all of the best nearby attractions. All at an affordable price! 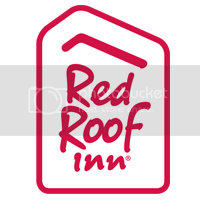 Newly renovated Red Roof Inn Toledo University offers you a great stay from the moment you walk into the door. You can be sure your stay will be filled with great amenities in our newly renovated rooms, customer service with a smile and relaxing atmosphere. All rooms offer free WiFi and flat screen TVs. Select rooms offer microwave & refrigerator. Free use of nearby fitness facility. Free coffee and tea available in the lobby. Book now! FREE wifi! We’ve been audited, verified and qualified for certification! Verified Wi-Fi means Red Roof now offers speeds that will allow you to stream your favorite movies, video games and music when staying at our Red Roof property. Our location is also conveniently located just 16 miles away from Toledo Express Airport. Visit the Imagination Station (6.6 miles), Toledo Museum of Art (5.4 miles) Toledo Botanical Garden (4 miles) & The National Museum of the Great Lakes (10 miles). Visit Fort Meigs, the largest reconstructed wooden-walled fort in the nation. This fort was built to defend against the British invasion during the War of 1812. Just 18.9 miles away. Explore the Toledo Zoo and see all the animals! Check out exhibits like the aquarium, African Savanna, the Hippoquarium, Children’s Zoo and more! Just 8.5 miles away. Go ice skating, play on the indoor volleyball and basketball courts, enjoy a slice of pizza, watch a game or explore the pro shop for hockey at the Tam-O-Shanter Sports and Exhibition Center. Just 5.5 miles away. Seagate Convention Center is just 6.3 miles away and is located right in the heart of downtown Toledo. The center has 19 meeting rooms and 75,000 square feet of exhibit space, perfect for events, trade shows, and entertainment! Watch a sporting event or concert at Huntington Center (6.3 miles) or the Savage Arena (2.6 miles), home of Toledo Rockets Basketball. Hockey season has begun for the Walleyes! Upcoming home games include the Cincinnati Cyclones on Jan 28th and MORE. Visit a family member, watch a sporting event at the Glass Bowl Stadium, or check out the R.A. Stranahan Arboretum at the University of Toledo (3 miles away). Toledo Speedway is back in action and is just 9.4 miles away. Take a day trip to go see a race at the Michigan International Speedway – an hour away. Stop by and enjoy a great meal at spots like Al Smith’s Place (adjacent), Pizza Hut (0.2 miles), El Vaquero (0.3 miles), Frisch’s Big Boy (0.3 miles), Applebee’s (0.9 miles), The New Tony Paco’s (4 miles) and The Original Tony Paco’s Cafe (9.9 miles). Visit Cabela’s just 24.1 miles away from our location and find all the outdoor equipment and gear for your favorite activities you need including fishing, hunting, camping, boating and more. See concerts, symphonies, musicals and more at the Stranahan Theatre (7.4 miles), the Valentines Theatre (6.7 miles), or The Toledo Symphony (5.3 miles).